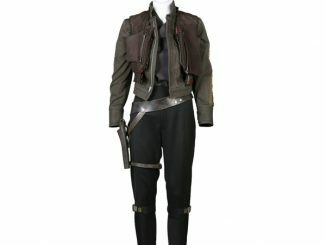 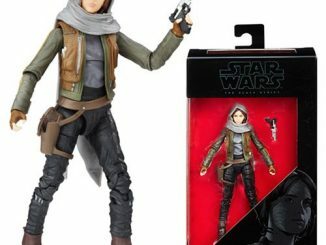 Your fashion sense is about to get rebellious with the Star Wars Rogue One Jyn Rebel Alliance Girls Jacket. 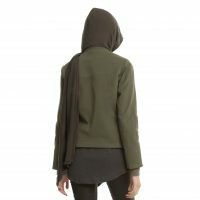 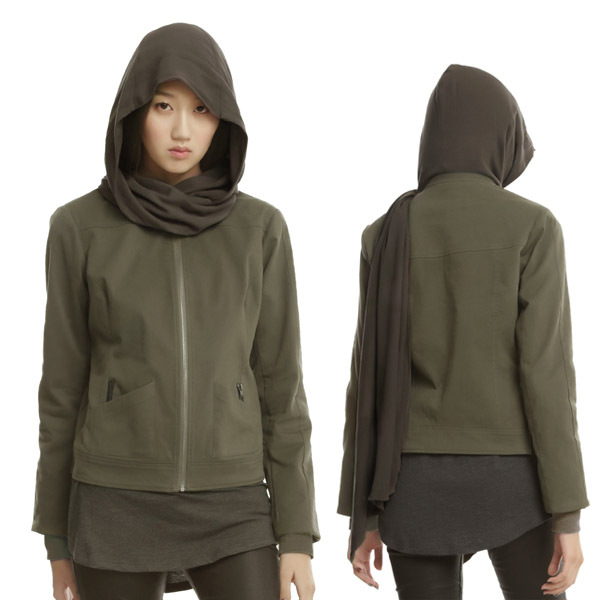 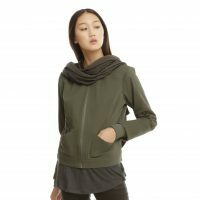 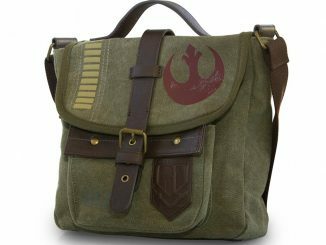 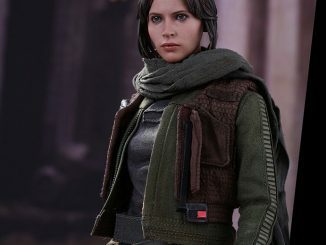 Inspired by the jacket worn by Felicity Jones’ Jyn Erso in Rogue One: A Star Wars Story, this olive green 100% cotton jacket lets you blend in at both Rebel Alliance and Empire hangouts with a variety of looks, thanks to the gauzy detachable hooded cowl. 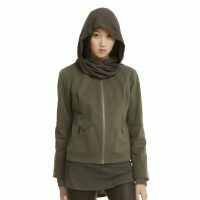 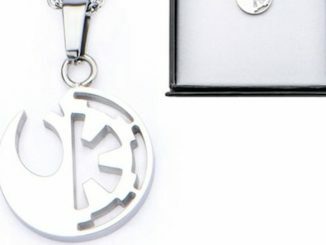 Wear it as a hood, a scarf, or even a hooded scarf. 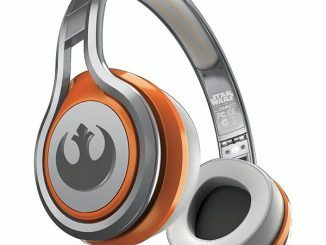 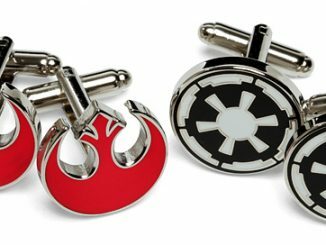 The Style Force will be strong with you. 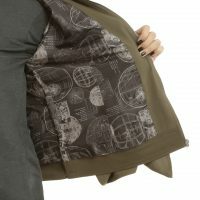 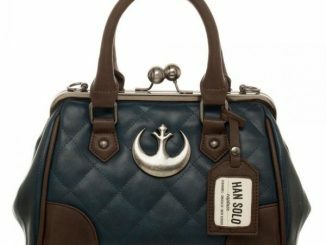 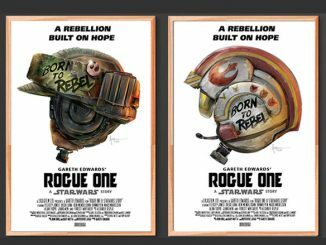 The jacket also features double-layer hip pockets, smaller zipper closure pockets, stitched-sleeve paneled sleeves with thumb holes, and a satin lining that has an allover print of the blueprints to the Death Star. 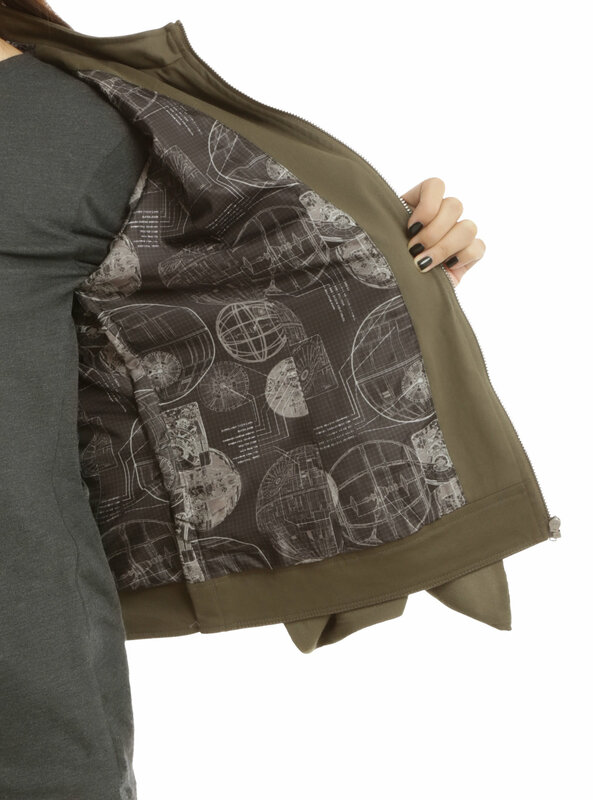 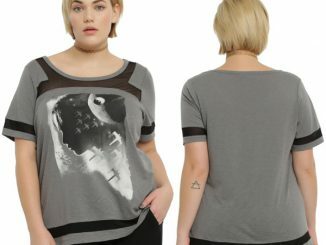 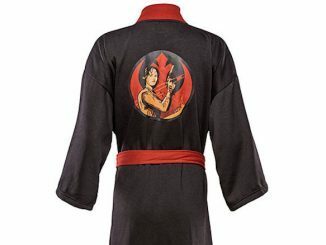 The Star Wars Rogue One Jyn Rebel Alliance Girls Jacket is available for $74.90 at Hot Topic.